Jun We - Kids Are Kids! We are thrilled to welcome our new Senior Program and Clinical Coordinator to our team at Kids Are Kids!. Jun Wee is an Occupational Therapist who has worked in the disability sector for more than 10 years. She has experience in a broad range of areas including working in Early Intervention, School Age and Adults. She has a particular passion for seeing clients achieve their goals, therapists grow and develop, as well as service improvement and program development. She also has experience working with clients with complex needs, and has a special interest in clinical areas such as postural care, transport, transfers and mobility and equipment prescription. 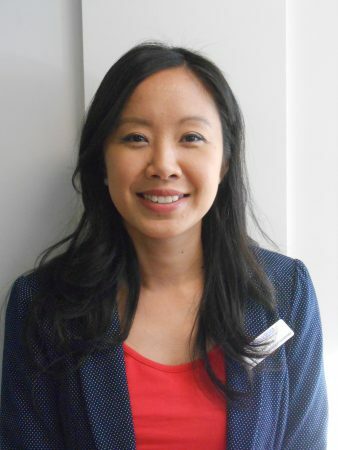 Within her role as a Senior Program and Clinical Coordinator, Jun will be managing enquiries, eligibility, intake and therapy service provision for clients within the Kidstart program as well as clients coming through WA NDIS. She will also be a point of contact for clients/parents who have any feedback, compliments or complaints regarding therapy services they are receiving.